This is the first of 3 reviews that are part of The 3rd Annual Remembering James Horner Blogathon hosted by Becca over at Film Music Central . Tnx for letting me participate! Brief Synopsis – Biography of one of the best golfers ever to play the game from his childhood until his greatest achievement. 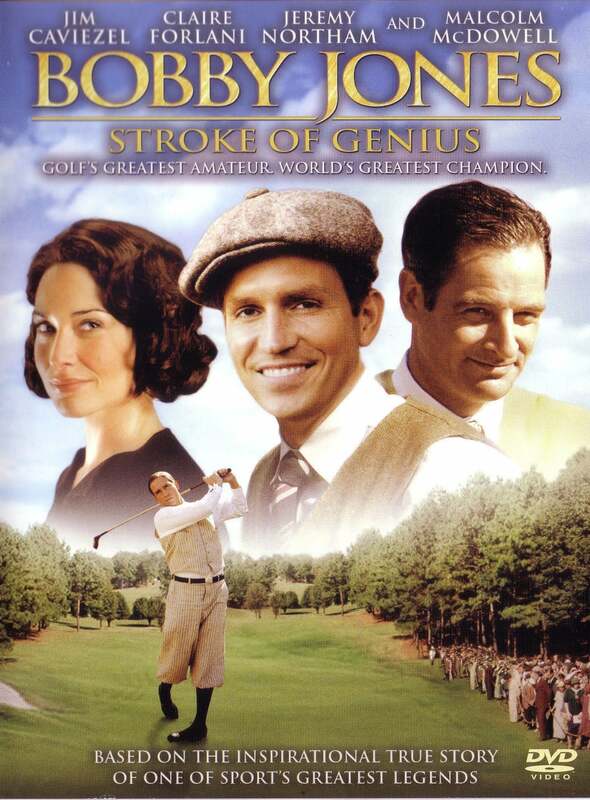 My first choice was a film that I actually never had even heard of beforehand and only vaguely knew who Bobby Jones was due to multiple viewings of The Legend of Bagger Vance (2000) and in that film he is played quite well by Joel Gretch. This film gives us the overview of the life of perhaps one of the greatest golf players in history as he starts off playing the game as a very young boy until he reaches heights that few others have even come even close to. They deal with the issues of fame and fortune quite well because we see how they can affect someone from such an early age. Jim Caviezel is quite good in the lead role and he is able to show the range of emotions that such a character needs in order to survive in the cutthroat world of competitive golf. Having not known much about his life beforehand, it was really interesting learning about all of the achievements and obstacles that he had in life in his quest for greatness. We are given a story from a very inspirational standpoint and it allows us to see how anyone can eventually achieve greatness as long as they work hard at it. The score by Horner is great because it adds an inspirational and fantastical feeling to this story. Bottom Line – Enjoyable biography that deal with some great issues related to fame and fortune along the way. Caviezel is great as Jones because he allows us to see the range of emotions that can sometimes overtake someone who is very competitive. Not knowing much about his life and career, I found it interesting learning so much about the events that transpired in his life to move him towards certain achievements. The story is told from quite an inspirational standpoint which shows how anyone can eventually achieve greatest if they work hard at it. Horner’s score works well here and helps give the story an added inspirational and fantastic feeling the entire time. Recommended!